In the Regency Underworld, written by Donald A. Low, there is a detailed and poignant description of the thousands of poor young boys and girls encouraged to thieve for a living by corrupt and older individuals. 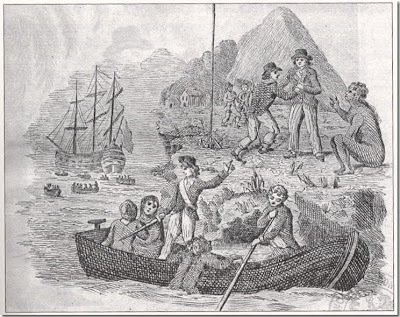 Many tiny, but hardened criminals that were caught were transported to penal servitude in Botany Bay in Australia, but many were sentenced to death while still in their teens. In some ways, today’s children in third world countries lead very similar lives. Thomas Vance, a magistrate from the Union hall police office, whose district include Bermondsey, Brixton, Tooting, and Vauxhall, claimed that many children were deserted by their parents, or badly neglected; poverty was partly to blame, p. 59. Picking pockets; taking things off, on their hands and knees, from shops, such as haberdashers and linen-drapers,; in the winter-time, with a knife at the corner of the glass starring it, and taking things out, which has occasioned the tradespeople having so many guard irons; but still there are shops not so guarded, and they can find opportunities of continually robbing: Boys upon all occasions, when there is any thing which excites a crowd, are very active, and many of them extermely clever; they are short and active, and are generally attended by men, p 60. I absolutely love all of Jane Austen’s novels, and have seen all the related films…including the BBC mini series collections. Does anyone know if there is a comprehensive collection of the best Austen films? I am unable to find a copy of the newer (1995?) Persuasion movie, it is very well done.